Semi-Mortised Automatic Door Bottoms are installed into a rabbet in the door, with the casing flush with the door face. It has the advantage of a clean and unobtrusive look, however the door generally needs to be removed upon installation. 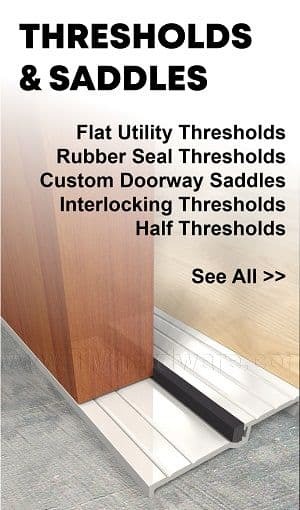 They are best suited for hard flooring however they can be used on a carpeted area if a Doorway Threshold is installed directly beneath it. 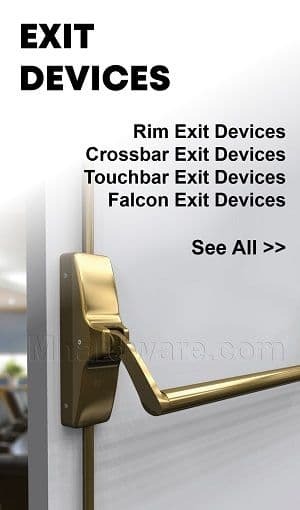 Options for Surface Mounted Automatic Door Bottoms include high sound and standard sound control, fire and smoke rated, and light and air infiltration. As with all our products, these are made of heavy duty material that is guaranteed to last through many usages. Select a product to get started. You can use the filter on the left hand side to narrow down your search. Don’t see what you need? Call us at 845-338-1300. 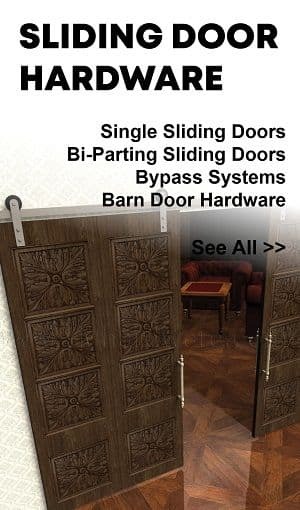 Our trained staff will guide you through choosing a door bottom that best suits your needs. Before starting, be sure to read Which ADB is Right for Me? See also About Automatic Door Bottoms and How to Measure for an Automatic Door Bottom. This regular duty Automatic Door Bottom lowers a rubber seal when the door is closed to prevent infiltration of light, sound and drafts. 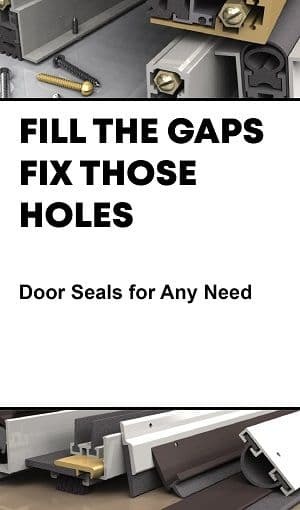 The high quality mechanism of the door bottom ensures smooth action when the seal is lowered and fills gaps up to 3/4". Choice of rubber insert, finishes and mounting type. Length is custom cut to size. To determine sizing, see How to Measure for Automatic Door Bottom. 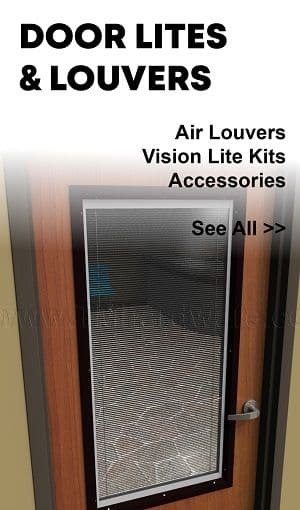 This heavy duty automatic door bottom has a drop-down seal which is lowered when the door is closed to prevent air, light, sound, fire, smoke, dust and moisture from infiltrating the gap under doors. 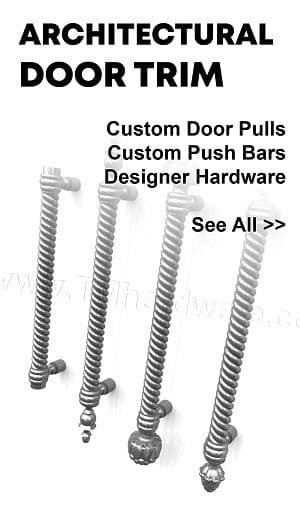 Designed to be surface mounted or semi-mortised applied to the face of the door. Available in a choice of two anodized finishes and choice of PemkoPrene™ or EPDM rubber seal. How to Order: Selecting Finish, Seal Material and Exact Size will calculate your total price. This Zero International #362, Semi Mortised, Heavy Duty, Sound Rated Automatic Door Bottom provides the best sound seal possible for normal sound levels and will prevent infiltration of light, drafts and more. Fitted with a high quality closed-cell sponge neoprene seal and high quality mechanism that has been successfully tested through 5 million cycles. Rated for fire, smoke and sound. Available in three anodized finishes and is custom cut to size. This Zero International #366, semi-mortised, heavy duty automatic door bottom creates a reliable seal at the bottom of doors and prevents infiltration of sound, smoke and fire. It is fitted with a solid neoprene bulb seal and high quality mechanism which has been successfully tested through 5 million cycles. Rated for fire and smoke rated.. Available in three anodized finishes, and length is custom cut to size. How to Order: Selecting Finish and Exact Size will determine your total price. Note, product is priced per range with 18.25" - 36" being the lowest priced range. Not sure what size you need? See How to Measure for an Automatic Door Bottom. This Zero International #368, Semi-Mortised, Heavy Duty, High Sound Automatic Door Bottom with a double solid neoprene seal offers the best sound control for high sound levels and will prevent infiltration of light, drafts and more. Made with high-quality mechanism that has been tested to 5 million opening and closings. Sound, Smoke and Fire-Rated and is available in three anodized finishes. Length is custom cut to size. View more details in description tab below. How to Order: Selecting Finish and Exact Size required will give you your total price. Note, product is priced per range with 18.25"-36" being the lowest priced range. 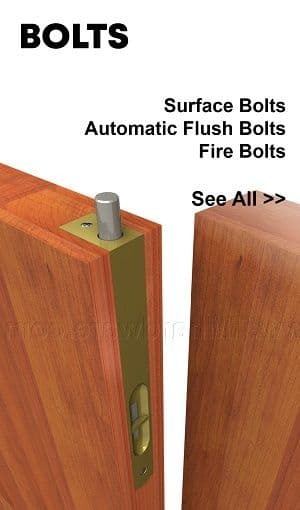 Need help to determine sizing, see How To Measure For An Automatic Door Bottom. NGP 520 surface mounted or semi-mortised, heavy duty automatic door bottom creates a reliable seal at the bottom of doors and prevents infiltration of sound, smoke and fire. It is fitted with a solid neoprene bulb seal. Available in three anodized finishes, and length is custom cut to size. 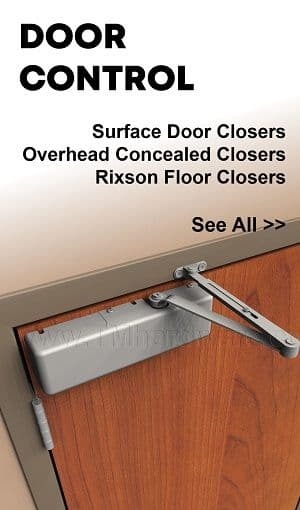 NGP 680 surface mounted or semi-mortised, heavy duty automatic door bottom creates a reliable seal at the bottom of doors and prevents infiltration of sound, smoke and fire. It is fitted with a double brush seal. Available in three anodized finishes, and length is custom cut to size. This Zero International #352, regular duty, semi-mortised automatic door bottom creates a tight seal at the bottom of doors to prevnt infiltration of sound, light, drafts and more. Equipped with a high quality, long-lasting neoprene seal and mechanism that has been successfully tested through 5 million cycles! This model is fire rated. Available in two anodized finishes and length is custom cut to size. How to Order: Selecting Finish and Exact Size will determine your total price. Note, product is priced per range with 18.25"-36" being the lowest priced range. To determine sizing needed for your door bottom, see How to Meaure for an Automatic Door Bottom. This regular duty automatic door bottom lowers a nylon brush seal when the door is closed to prevent infiltration of light, drafts, dust and insects. 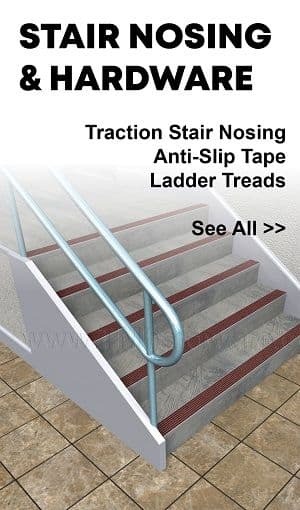 The high quality mechanims requires low closing force and has a smooth action. Seal drops to fill gaps up to .75". Available in five anodized finishes and length is custom cut to size. To determine size needed, see How to Measure for an Automatic Door Bottom. 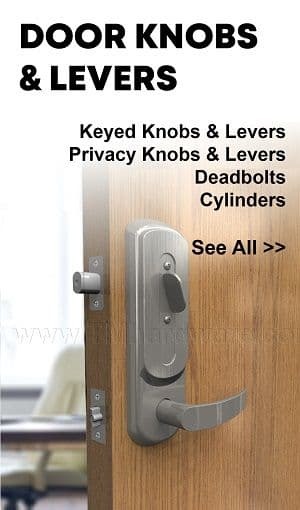 Not sure which handing is required for your door? See How to Determine Handing / Swing of Door. Heavy duty automatic door bottoms have a drop-down seal which is lowered when the door is closed to prevent air, light, sound, fire, smoke, dust and moisture from infiltrating the gap under doors. 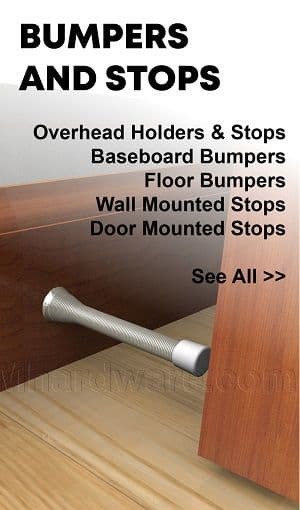 It can be surface mounted to the door or semi-mortised into the bottom of the door. Available with a PemkoPrene™ or Sponge EPDM seal, in two finishes and length is custom cut to size. To determine length needed, see How to Measure for an Automatic Door Bottom. Not sure what handing is required for your door? See How to Determine Handing / Swing of Door. This automatic door bottom has been acoustically rated for its optimal sound attenuation properties. 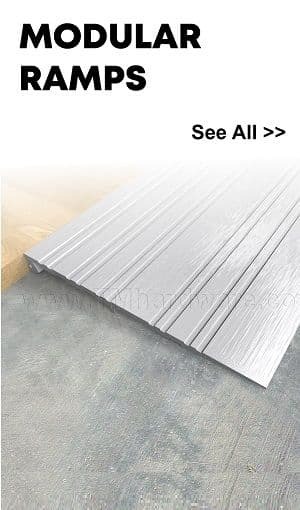 It has an EPDM drop-down seal which is lowered when the door is closed to prevent sound, air, light, fire, smoke, dust and moisture from infiltrating the gap under doors. 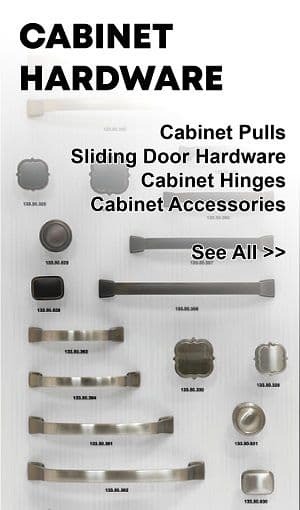 Designed to be surface mounted or semi-mortised applied to the face of the door. Available in two aluminum anodized finishes and is custom cut to size. To determine size needed see How to Measure for an Automatic Door Bottom. 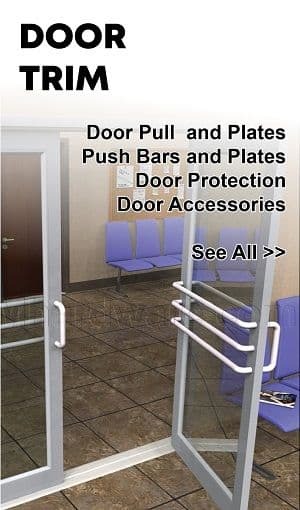 Pemko PDB Series Automatic Door Bottom creates uniform seal pressure across the entire door bottom, preventing air flow and providing a natural thermal break. This model is fitted with a Nylon Brush Seal which has a maximum drop of .5". 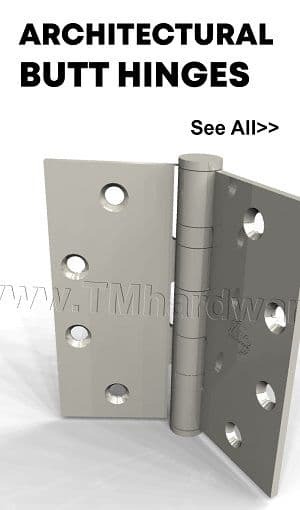 Casing is designed to be surface mounted or semi-mortised to face of the door. Available in two anodized finishes and is custom cut to size.